What did Alicia Vikander do to prepare for the shooting of the "Lara Croft"
The premiere of the next part of "Lara Croft" will take place in March. Training of the actress, performing the title role in the film, and her meal plan became available to the general public. Action adventure has given rise to a whole universe called "Lara Croft". So, first the film "Lara Croft: Tomb Raider" was released in 2001 with Angelina Jolie in the lead role, in 2003 came the second part (after which the actress has refused to participate in the sequel). 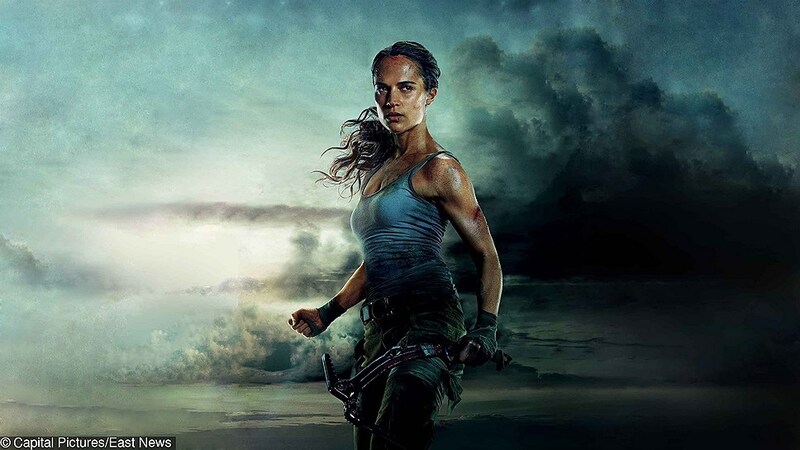 One of the main visual lures of the film has always been the body of Lara Croft - attractive, sporty, pretty pumped over. Shooting of the last part of the film took place in South Africa from January to June last year, and Swedish coach Magnus Ligdbek was a "co-author" of a stunning body of actress Alicia Vikander. He and Alicia are compatriots that certainly helped them find a common language in training. "The main goal was to speed up the metabolism to work every muscle, and Alicia coped - said Magnus in an interview with Hollywood reporter. Breakfast: 4 eggs (omelet frittata, poached), half avocado coffee. Snack: sashimi, octopus grilled chicken. Lunch: chicken, fish, beef, slightly brown rice, quinoa or yam, 30 g of mineral fats (such as coconut oil or olive oil, avocado). Second snack: the same as in the first. You can see the result of training under the direction of Magnus - photos of Alicia in a red bikini spread all over the Internet. Magnus Ligdbek - a former Swedish hockey player who has developed his own training plan Magnus Method and has been coaching celebrities for the past 15 years. His client list - Ben Affleck, Alexander Skarsgard, Britney Spears. He also collaborates with sports brands Nike and Casall.